Start living the life youve imagined in this luxury estate home just minutes from world-class shopping, dining, and naples beaches! Featuring 4 bdrms+den/4. 5 baths, this spacious seville model shows like new with numerous recent upgrades. The gourmet kitchen features wood cabinetry and granite counter tops, as well as newer stainless steel appliances. All flooring throughout is new, including upgraded tile, wood floors, and carpeting. The master bedroom suite offers two walk-in closets, dual vanities, a jetted tub, and large shower. Relax and enjoy outdoor living and beautiful lake views on the extended lanai with resort-style pool and spa. Other recent improvements include exterior painting, 2 new a/c units, washer/dryer, electric hurricane shutters on lanai, and heavy-duty lanai screening. Fiber optic integration supports high def tv, next generation internet, and carrier class phone services included in hoa fees. Hammock isles is an exclusive community in the award-winning vineyards and offers optional private membership programs for golf, tennis, fitness, and social activities. The recently opened vcc wellness center & spa is great new addition. Come join our vineyards family! H. 12679 beautiful villa florenza home with view of the lake and golf course. This perfectly maintained home has tile throughout the living room, great room, dining room and bedrooms. New hvac units and hurricane shutters. Relax and enjoy the tranquility by the in-ground heated pool and spa on the all brick patio. Villa florenza is a wonderful community in which to live, close to the vineyards country club which offers golf, swimming, bocce, tennis and many social events. A pleasure to show!! Luxurious 2845 sfua 2007 avellino coach home offers the ultimate in upgrades for your comfort and complete peace of mind: 2 new trane ac units w/ wi-fi & halo uv lights (11-16, bulbs new 2018), rheem 75-gallon state-of-the-art plastic leak-proof water heater w/ instant hot water circulating pump (2017), and electric storm shutters on the lanai! Other upgrades you'll love in this neutral meticulously-maintained home include a new side-by-side refrigerator 1-2019 with 5-yr warranty, diagonally-installed tile thru the living areas, new comfort height toilets & master bath jetted tub, tasteful faux trays & high coffered ceilings, room-darkening master shades, and upgraded lighting/ceiling fans. Gorgeous decorator furniture is included in sale, along with select accessories! The spacious open floorplan offers versatile living space (e. G. Formal dining functions well as den/office). Original owners, no pets, no renters ever. Ensuite baths for each bedroom! Youll love the oversized wraparound lanai, & the short stroll to the fitness center with new equipment, jr. Olympic pool/spa, new stainless barbecue grills, mailboxes, or to enjoy a cocktail watching sunset at the chickee hut! Laguna royale is located steps from the vineyards country club which has a new wellness center available for members of the golf, tennis, bocce, pickle ball and dinning club. This charming community has 40 units, a community pool and club house. This unit has a prime location with water and golf views from all windows. It is a corner building withno obstructed views,which must be seen to appreciate. Come and enjoy the tranquil life which laguna royale experiences. Which is close to stores, restaurants, medical facitities and a short drive to the beautiful beaches of naples. Wow, rooms with a view! One of the best unobstructed views of the golf course and lake in lalique, and with eastern exposure the lanai remains usable year-round. The buildings position means no-ones lanai is right next to yours and you over look orange trees planted by the seller and can take advantage of the fruit's great juicing qualities! 4 bedrooms or 3 and den, all rooms have closets which makes this a super-sized living area for a condo. The home has been lovingly cared for and gently used on a seasonal basis. The long vistas over to the lake and across the golf course can be seen from the eat in kitchen as well as the lanai. Added benefit of an attached one car garage with a long drive where you could park 2 further cars. The home is opposite the community pool and spa and further guest parking spaces. Lalique is a well run subdivision in the ever popular vineyards where the country club offers various levels of membership. Vineyards community park is over the road and being close to vanderbilt beach rd means getting anywhere in naples is a quick trip the beach is 6. 5 miles! A grade schools as well make this a great choice and investment. Welcome home! 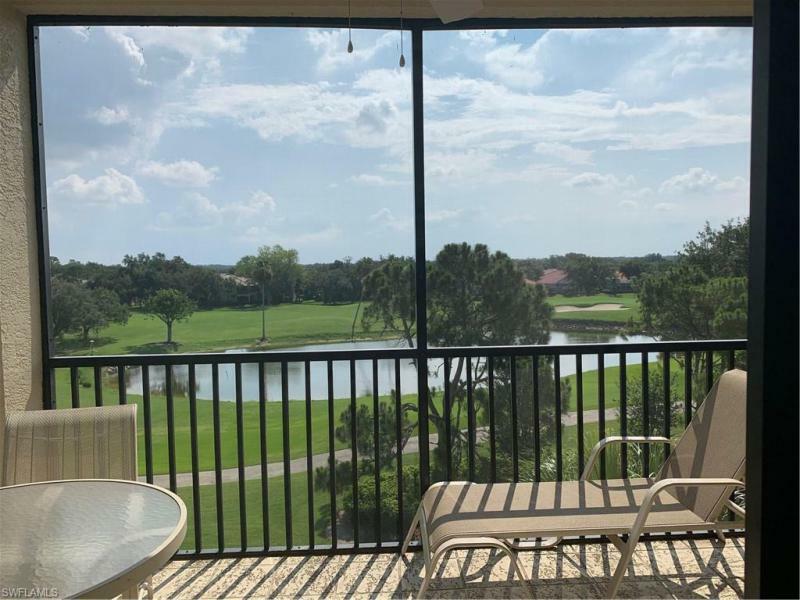 Immaculate and private 3/2 open concept, corner unit condo located on the fourth floor with an amazing view overlooking vineyards golf course and large lake. The kitchen comes equipped with brand new stainless steel appliances and a cozy breakfast nook. The spacious master bedroom has a beautiful views, with sliders opening into the lanai. This condo has only been occupied as a seasonal rental. Vineyards is a lovely golf community with four miles of sidewalks and bike path with mature landscaping. It is located minutes from crossroads shopping center with grocery, drug store, restaurants, etc. And next to physician's regional hospital and entrance to i 75. Private memberships are available to purchase for the vineyards golf club, brand new wellness center and spa, tennis center with 12 har-tru lighted tennis courts and three pickleball courts. The concord is a profitable investment property or a lovely place to live. Make your appointment today!